Rutland is the smallest county in Britain, being a maximum of 18 miles high north to south, and 17 miles west to east. The major town is Oakham, and Uppingham further south is the second largest settlement. 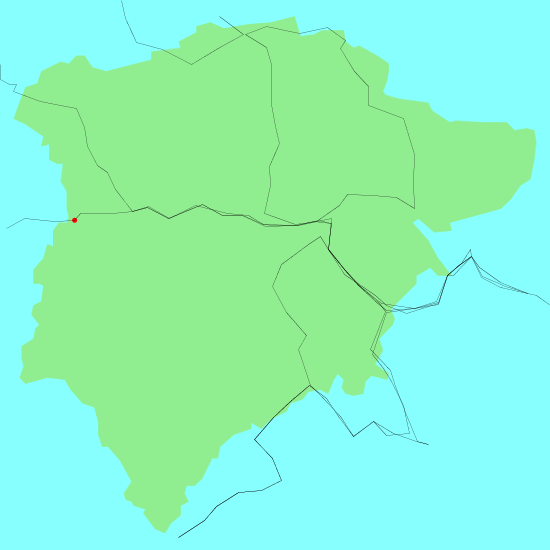 The county was abolished in 1974, but restored in 1997 during a local government reorganisation. The county is dominated by Rutland Water, a man-made reservoir that opened in 1976, and has the largest surface area of any reservoir in Britain. The reservoir has a 25-mile long cycle path around it, and Oakham is the starting point of both the Hereward Way and Viking Way long-distance paths. Below is a map showing all the walks that I have completed in Rutland. This was a total of 236.4 miles in 13 walks (an average of 18.18 miles per walk).